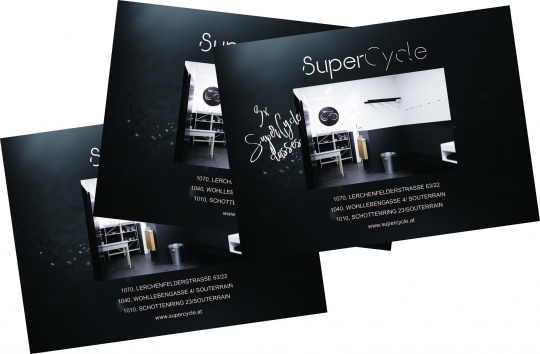 SuperCycle is a boutique indoor dance-cycling studio offering an intense and vigorous full-body workout. 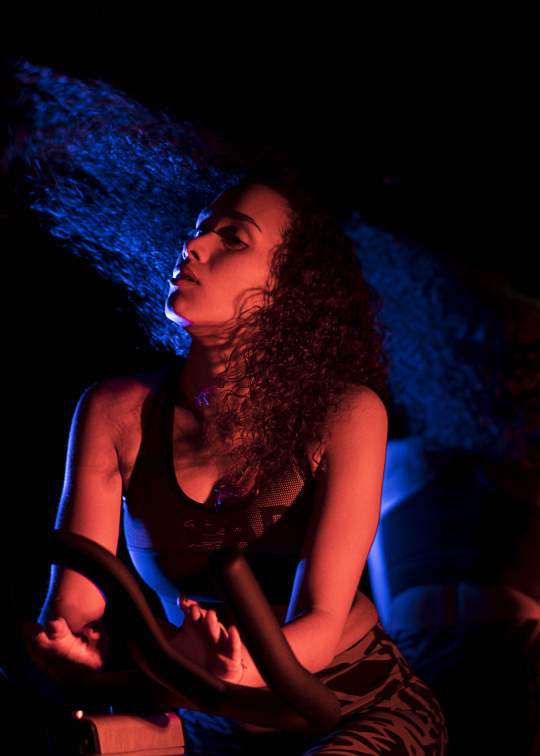 In our beautiful low-light space you'll find an amazing sound and light system, the best beats and instructors who love what they do. We promise you'll step out an hour later with your heart rate, health and happiness up! We've taken the best of high-intensity training and combined it with elements of dance and yoga to give you a deep full-body experience. It’s all about the music. Each class is completely different, depending on the playlist handpicked by your instructor. From deep house and electro to pop, soul and hip-hop, 90s and 80s to RnB, we offer it all. Check out our instructors Spotify samples for some sound-spiration and pick your instructor accordingly. Our classes kick off with 50 minutes of fun cycling - a mix of intense cardio with strength-based exercises and choreography - before about 5 min of rejuvenating stretching. You don't need to have any cycling experience, but good general health is required. 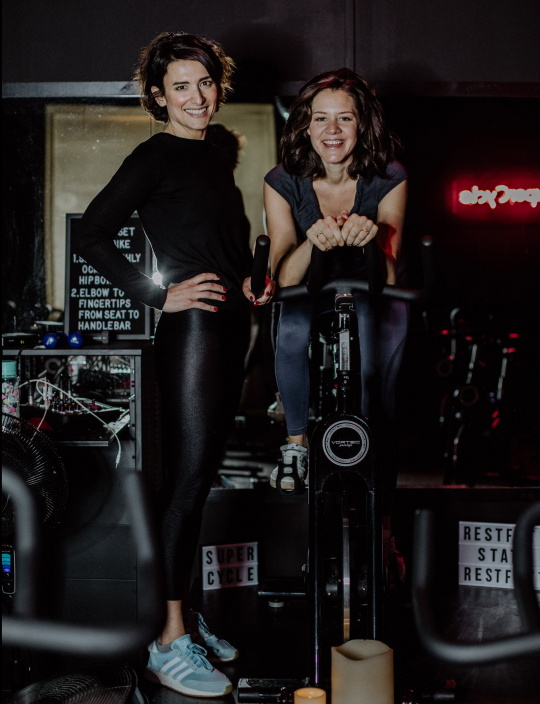 We're Lilli and Rhana, two friends whose passion for music and dance-cycling led us to create SuperCycle. We're all about being present and enjoying the moment, and hope that our fun-loving, light-hearted - and challenging! - approach to fitness shines through everything we do. We think you make the most progress mentally and physically when you're part of a supportive community that encourages you to bring your best self. That is what we strive to create at SuperCycle. If you want to find out more about us you can go to http://lovedailydose.com/job-report-rhana-lilli-owners -supercycle-vienna or find us at one of our classes that we teach. If you are ever in need of a present for a birthday, christmas or any other special occasion please contact us at office@supercycle.at. Let us know if you ever want to book a private class for birthdays or work events. Depending on your preferred studio, we can book you a date with your favourite instructor. Good news for those, who know that a good work-out & health food go hand in hand. We teamed up with Superfood Deli! The Superfood Deli is Vienna's first organic & vegan bowl food eatery. 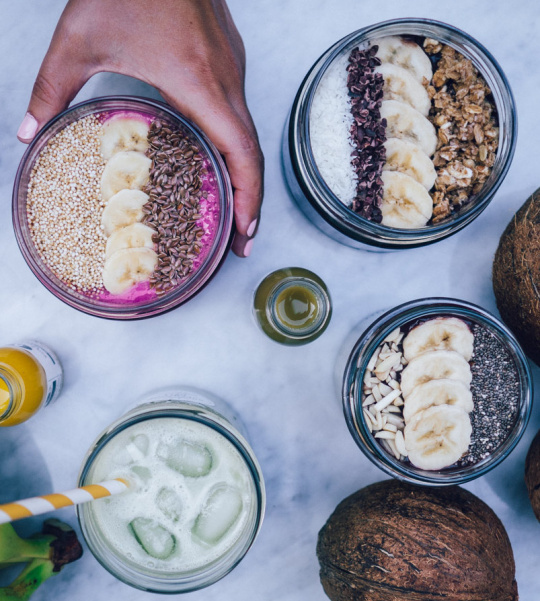 We serve healthy & natural açaíbowls, smoothies, salads & porridge bowls, avocado toasts. Coffees, teas, juices, ginger shots, snacks, sweets & fancy drinks. Our favorite drinks are the wonderful vegan natural protein shakes for after class. We offer babysitting at the 1070 studio for selected mid-morning classes. As parents, we understand the need to take a quick break from our beloved kids. Our trusted babysitters will look after your kids in the room next door, while you take the time off, enjoy the music & the workout. Please check the 1070 schedule for further details.